Aside raising funds for our 50th Anniversary project, Barlow Band could use support in other areas. One of those areas would be replacing instruments (some of which are almost 50 years old) and can cost thousands of dollars each. Please donate, if you can! Welcome to Barlow Band Aids’ Web Site! We are a 501(c)(3) non-profit established to support Barlow Bands. We have five bands at Sam Barlow High School. 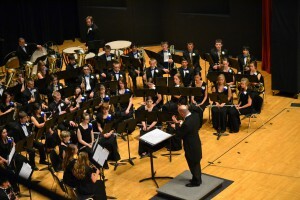 They are: the Symphonic Band, Freshman Band, Stage Band, Concert Band, and Jazz Bands. Paul Nickolas is our band director. 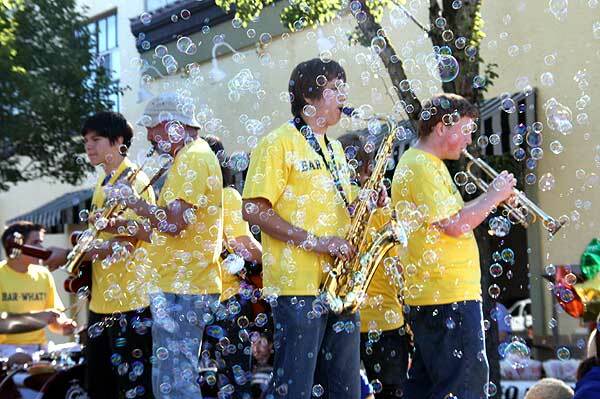 There are over 200 students enrolled in Sam Barlow bands. Barlow Bands have won many awards for excellence in district and also OSAA competitions. Band students at Sam Barlow that attend All State, All Northwest, or place at State competitions get inducted onto the Wall of Fame. In 2018 Sam Barlow High School will be celebrating its 50th Anniversary. To commemorate the event, we as a band program are commissioning composer Kevin M. Walczyk to write a piece for our school.